> Mobile, Networking > Is a Wireless 5G Network Hub Coming to Your Town? 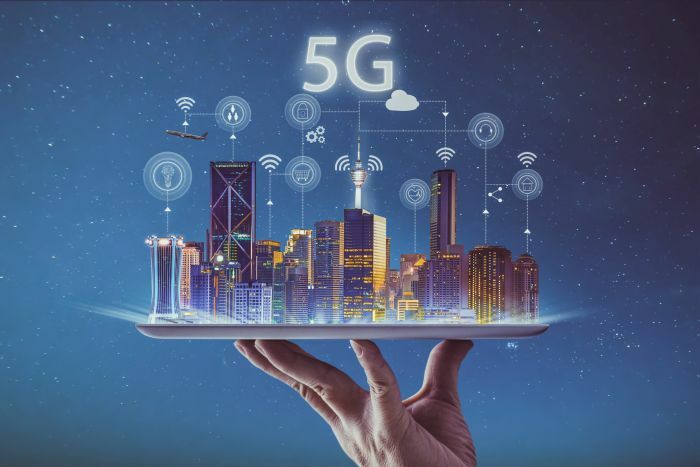 The National Science Foundation (NSF) pledged $100 million in funding for wireless 5G network research hubs across the U.S. The federal agency plans to issue an RFP for the project in the coming weeks to solicit proposals from the academic and R&D community. Driving the initiative is US Ignite, a nonprofit NGO for advancing network technology that is working in partnership with Northeastern University in Boston. The project is called Platform for Advanced Wireless Research (PAWR) and the goal is developing city-scale wireless networks using emerging technology. US Ignite identifies a handful of forward-thinking cities with which it has work on past public connectivity projects; a spokesperson with the organization said that hub cities for PAWR will be selected based on the proposals it receives. The PAWR Project Office (PPO) says a committee comprised of 25 companies and interest groups that provided $50 million of combined funds and resources for PAWR will steer the decision-making process after the RFP period. Why do we need a Wireless 5G network? The number of devices connecting wirelessly has doubled in the past decade, and 4G LTE networks may not be able to keep up with bandwidth demands. A new standard will usher in better connectivity for mobile devices, wearables, and IoT devices. What is the likely path for 5G technology to emerge? 5G networking will likely happen across the high-frequency millimeter wave spectrum, a band that allows higher transfer rates than those used by 3G and 4G devices, but has a shorter range of transmission. The FCC opened this band for licensed and unlicensed use last year. Range limitation and poor penetration through objects are the key challenges researchers are trying to overcome. That is problematic where a wireless 5G network is needed most—large urban areas where 4G LTE is overcrowded. Theorists propose installing Massive MIMO (a large scale antennae implementation) near city centers, and several smaller antennae arrays around the perimeter of the networked area—similar to how a wireless mesh AP setup works. Which companies will steer the decision on the proposals? Here’s the list. I’ve included the location of the North America HQ with it. When will they announce the selected cities for 5G network hubs? A NSF spokesperson told me the timeframe for issuing the RFP is four months after establishing the PPO, which was announced earlier in March. There is no hard date at this time for the RFP announcement, or when the selection will occur—but for all intents and purposes, we should be seeing experimentation with wireless 5G network technology in full stride before the end of 2017.